Our new apartments are comfortable and soothing. 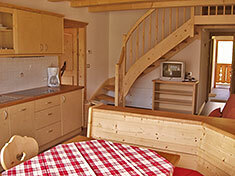 The furniture is made of solid south Tyrolian wood. 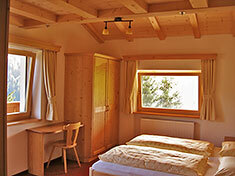 The wood was picked because of its lovely mountain fragrance and its beneficial effects to the heart. 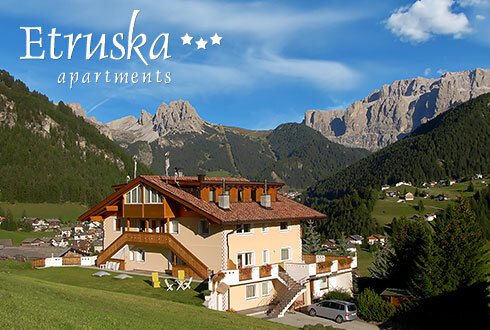 The new Etruska-apartments have separate entrances and offer a truly Relaxing Vacation. 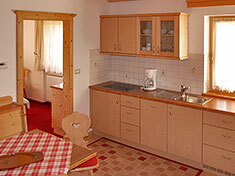 Your apartment is provided with everything You might need. Our new balconies give you the chance to enjoy the unique panorama that our house offers. 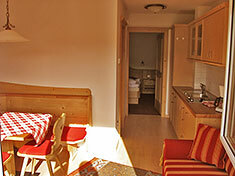 Has a equipped double bed bedroom. 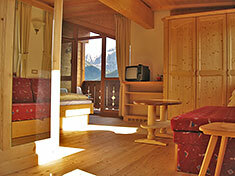 The living room comes with a comfortable sofa bed, a panoramic view, and TV with satellite. 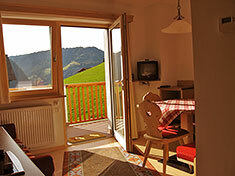 And in this room’s Balcony you can appreciate the southwest view of the mountains. 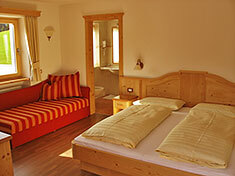 The apartment has 2 equipped double bed bedrooms; one of them has a comfortable sofa bed. The living room has a big veranda (south panoramic view), TV with satellite. The cooking area comes with 4 glass ceramic hot plates, coffee machine, tableware, dishwasher and refrigerator with freezer. 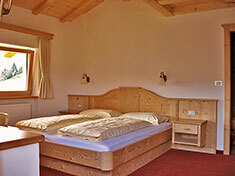 It has two bathrooms with shower, bidet and hairdryer. 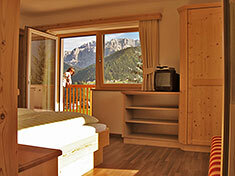 And a Big Terrace on the sun side with a panoramic view of the Dolomites. 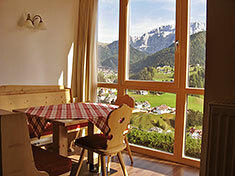 The room has a Balcony with a southwest view of the mountains. 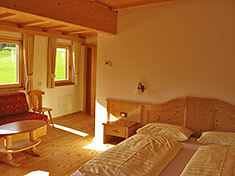 And a romantic attic room with comfortable sofa bed and it’s own bathroom. 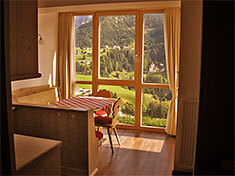 This room has a balcony with a beautiful view of the mountains. The Living room has a TV with satellite. The two bathrooms have their shower, bidet and hairdryer.